← Don’t know what career you want? This dip is called ‘Asal Eswed Bel Tahina’ which literally translates to ‘Black Honey (Molasses) with Tahini’, and it’s an awesome dip as it acts as a full meal, which includes around 25g of protein (as much as a can of tuna), healthy fats, and calories. I would especially recommend it to those who do weight training and want to grow muscles (check out the ‘get ripped guide’ if you are interested in that), and I swear I have muscles growing out of no where when I eat this! Molasses is extracted from sugar cane and it’s a staple ingredient favourable to many Egyptians. Tahini is sesame paste, which is flavourful and nutrient dense and used in Middle Eastern cuisine. The ingredients below act as a guideline only, so you can try it out and add more tahini or molasses, as much as you prefer. 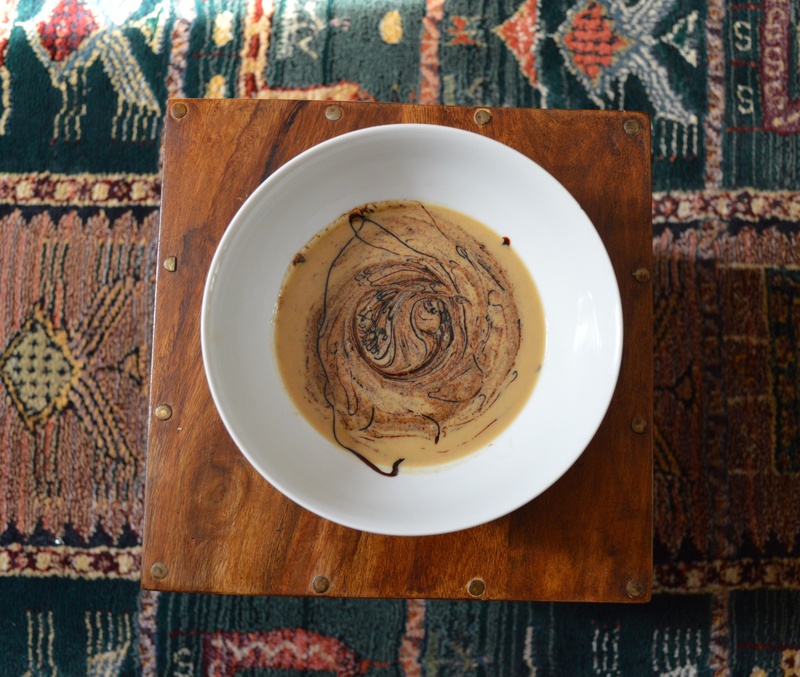 Pour the tahini in a bowl, and gradually add the molasses so it twirls on top and mix very gently until the mixture has pretty brown patterns or if it’s a light brown colour. Dip in some bread and see if you would like more or less of any ingredient to suit your tastes. Alternatively, if you would like a lighter dip, you can add some water to the tahini and mix it well first, so it’s less concentrated. Good for hair – One serving (two tablespoons) of blackstrap contains approximately 14 percent of our RDI of copper, an important trace mineral whose peptides help rebuild the skin structure that supports healthy hair. Consequently, long-term consumption of blackstrap has been linked to improved hair quality, hair regrowth in men and even a restoration of your hair’s original color! Click here for more information about blackstrap’s hair benefits. Safe sweetener for diabetics – Unlike refined sugar, blackstrap molasses has a moderate glycemic load of 55. This makes it a good sugar substitute for diabetics and individuals who are seeking to avoid blood sugar spikes. Moreover, one serving of blackstrap contains no fat and only 32 calories, making it suitable for a weight loss diet. It’s rich in minerals such as phosphorus, lecithin, magnesium, potassium and iron. This entry was tagged Body, Cuisine, Delicious, Egypt, Fitness, Food, Health, healthy, Minerals, Muscles, Natural, Nature, Protein, Vitamins. Bookmark the permalink.